Pipe Scream is a spinner in Gemini Midway at Cedar Point. It's worth seeing on a time-permitting basis. 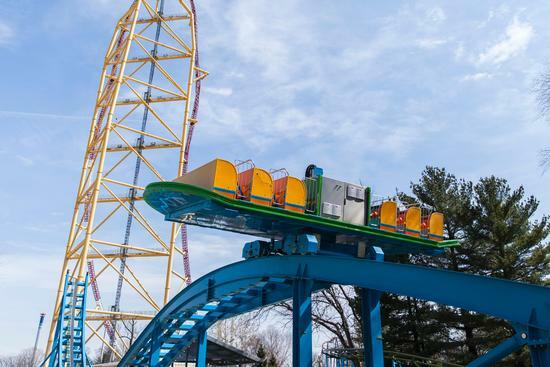 A Disk'O Coaster manufactured by Zamperla runs on a 302 ft. long track and reaches heights of 43 feet and travels up to 43 m.p.h.